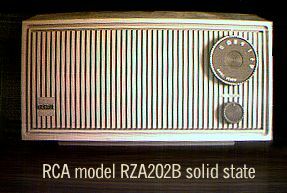 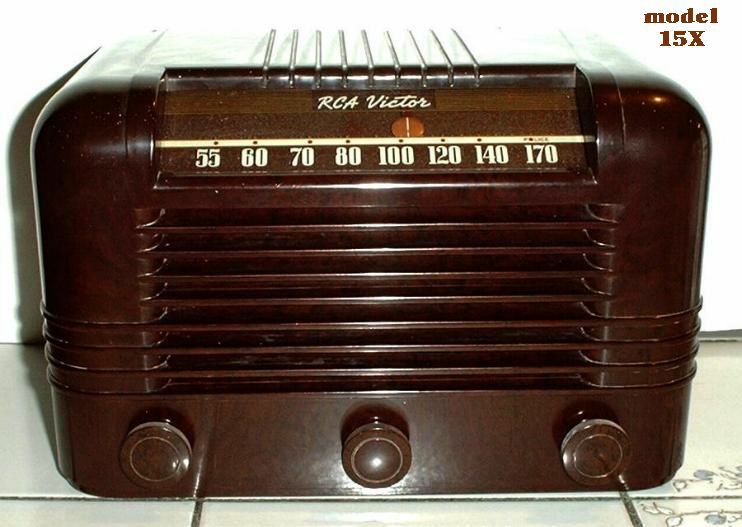 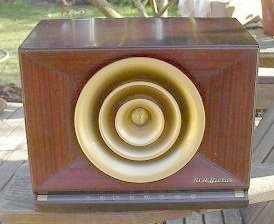 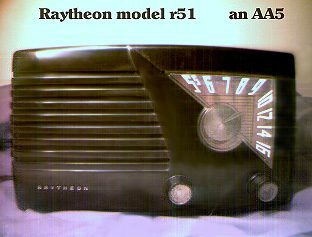 I bought the below RCA AM/FM Bakelite in 1976 back in college at Syracuse Univ from a frat auction for about $11. 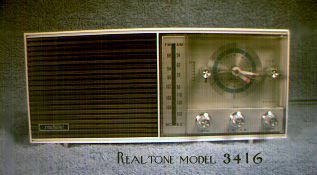 Its AM tuned RF stage helped bring in WOLF 1490, a low powered AM on the other side of town. 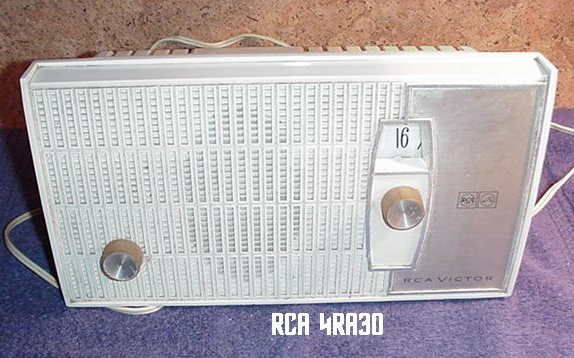 RCA gave names to their radios back in the 1950s. 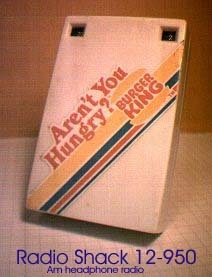 This one was called the "Lindsay". 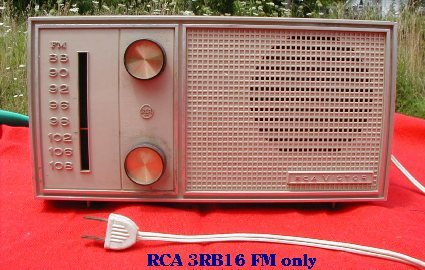 Just gave it a recap.
. RCA 9X571 - This radio was modified to operate on 240VAC powerlines, and using a 50C6 output tube. 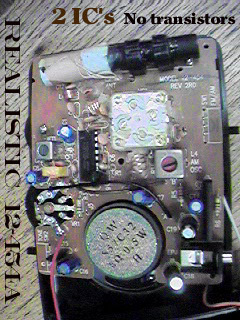 Click here for the description and schematics (2nd method, 50C6 option of that method). 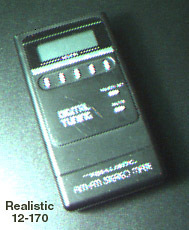 More audio output power. 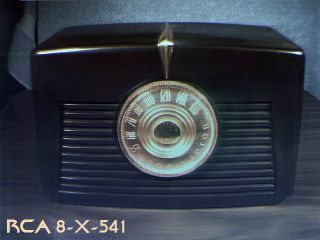 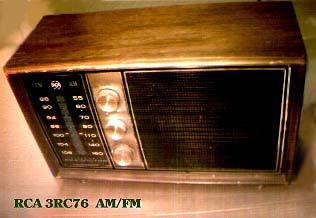 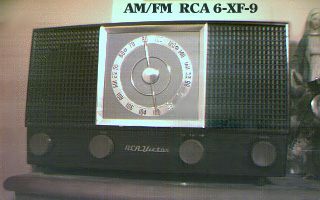 Clock radio at above right was modified using three compactron tubes in place of the usual AA5 tubes. 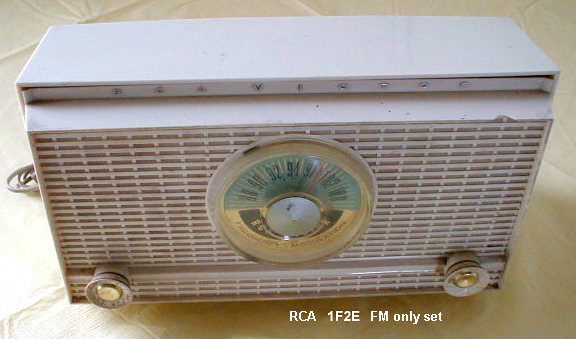 Click here for a description and schematic diagram of this radio. 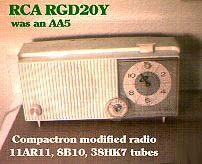 Unusual dial for an AA5. 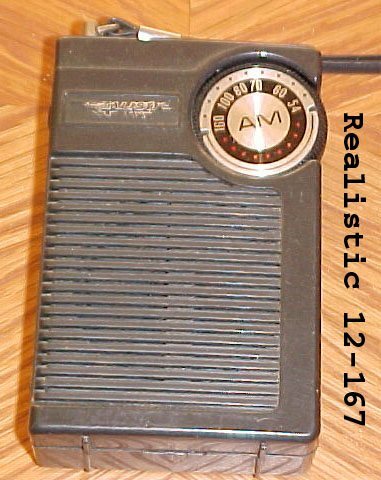 You see this style of dial more often on transistor radios. 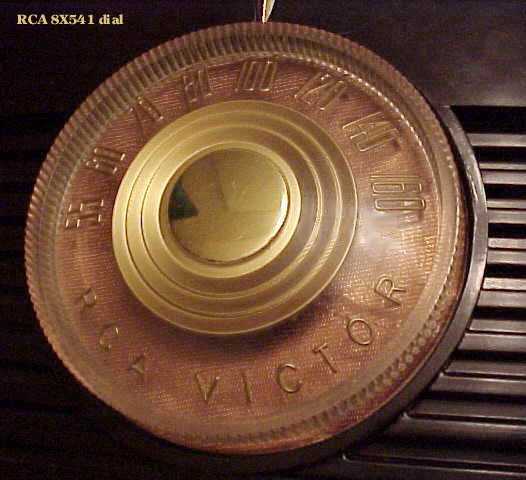 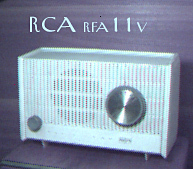 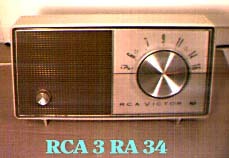 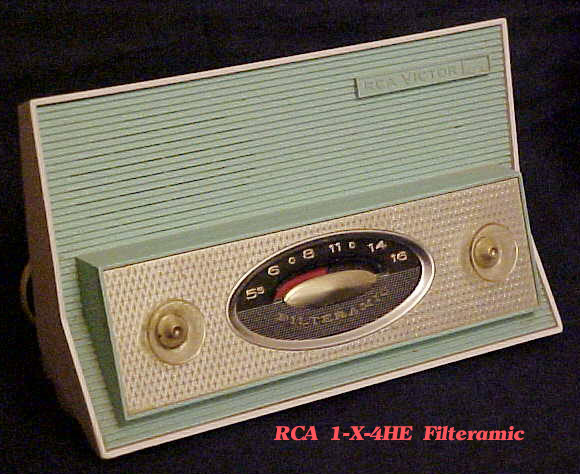 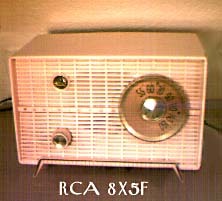 The RCA 8X541 has great style, and works good too. 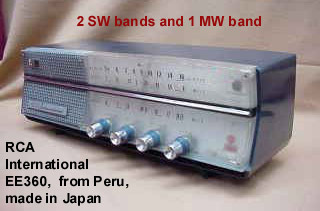 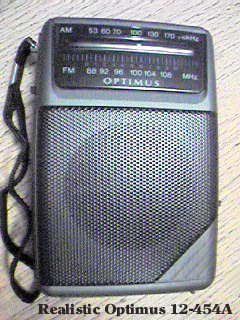 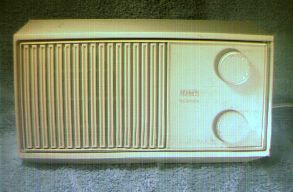 A very popular radio when new, which may explain why it is so common today. 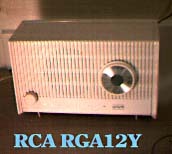 This FM only 3RB16 uses a similar chassis as the RCA 3RC76 with the AM parts missing. 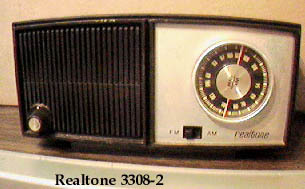 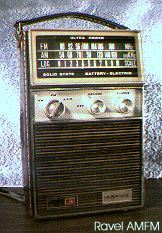 Lafayette had a radio (similar to this Realtone) I almost bought back in 1970 but I never did. 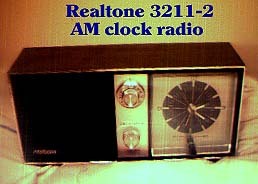 Realtone solid state "hot chassis"
This radio above uses no transistors unless you count the thousands of transistors inside the two IC's used.